Best-loved for over 30 years! 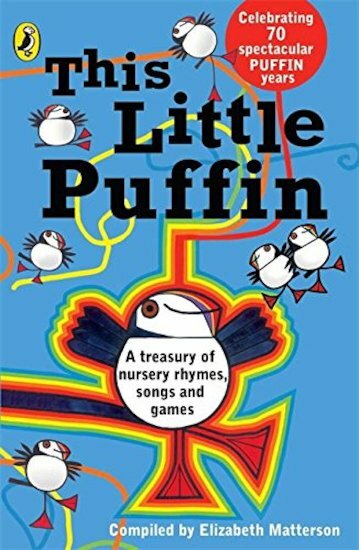 A classic book of children’s songs, rhymes and verses collected from all over the UK. Sorted into handy themed sections, this book has a rhyme for pretty much everything – the weather, food, animals, playing outside, school, town, special occasions and loads more. There are regional rhymes and timeless favourites. There are songsheets for the music. There are lovely pictures, and clear diagrams that show how to do the actions. But what we love best about it is the focus on verses that get little people moving and miming. Let’s all join in!